Thursday night was only my second blogger event and thanks to Becky I was invited to see the launch of the Lush Halloween and Christmas products, while I failed to pick up anything Halloween appropriate I did treat myself to possibly too many Christmas items. It's been no secret that I'm new to Lush and it's no secret since my first purchase this year I've been in love ever since! So this year sees the first time I'll be testing out the Christmas range, while everyone was excited to see their favourite seasonal products I was just excited to see what they had…and me being me went a little crazy with my spends, though I'm not complaining today as I smell AMAZING! I wasn't too sure about who was attending and arranging to meet with Sam (who I'd met previously). We met in Birmingham town centre before catching a train to Solihull, we spent a short while looking at the stores before fast deciding we needed food, so we choose handmade burger & co. A place I'd not been too before and I'm shocked that I hadn't as the food was pretty amazing! It's well known between family and friends about my fussy eating habits and my love for a cheese burger, so obviously, I couldn't resist...I'm also the biggest lover of chips too, so myself and Sam shared a bowl and I was in heaven! We did a little more browsing for an hour before heading over to the store, as we were early we spent a few minutes outside where we began to meet up with a few more girls, some familiar faces others new to me (I should probably take this time to apologise for not talking to everyone, I'm a little nervous sometimes). 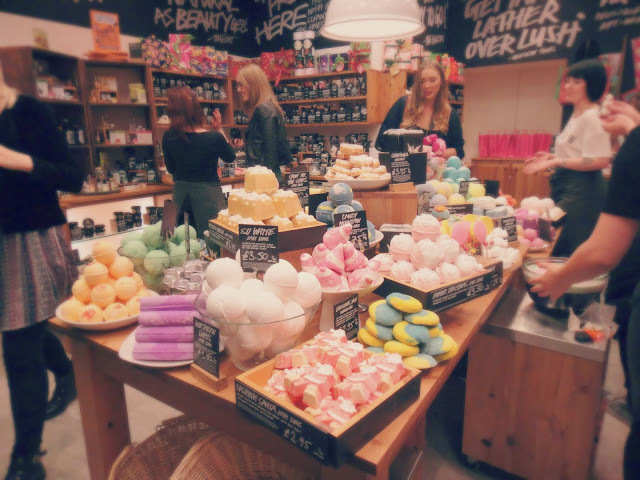 Once we were inside the ladies and lads of the Lush store introduced themselves and gave us a little idea of the evening before letting us loose on the products. 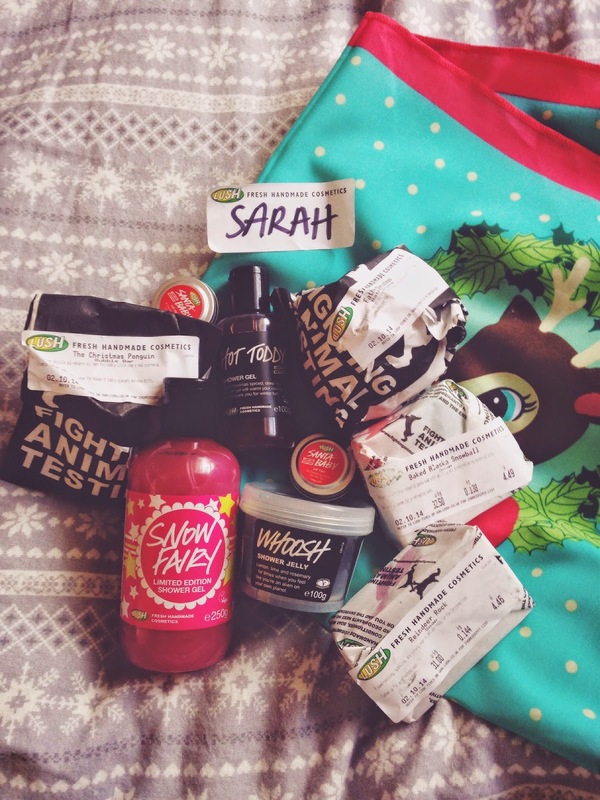 I told practically everybody that this was the first year I'd be indulging in the lush Christmas products and one of the biggest reason I was so excited for the night...every person I spoke to helped me out and I certainly didn't leave empty handed. I first spoke to Yasmin, who first helped me with some photography tips before introducing me to the soaps available, I've always noticed the big blocks of colour in the shop windows but I never really took the time to have a proper look, but after one sniff and I was in love, especially with baked Alaska and reindeer rock, which went into my basket first. - Baked Alaska being a more citrusy scent and very sweet, while Reindeer Rock was a pure scent of blackcurrant, which bought back childhood memories of drinking Ribena and my nans -. Yasmin helped me so much over the event, so you'll hear more about her as the post goes on. She then suggested I went over to the girls at the shower gels, with us both being girls who's bathroom only has a shower and no bath, she told me that the shower gels and jellys were a must. I then went over to Olivia and Chelsea and told them again this was my first lush Christmas and they introduced me to all the shower gels and the shower jellys, which all smell amazing, yet none were alike and the snowman jelly just puts a bit of fun into your shower routine, so I picked up snow fairy & whoosh but I'm tempted to pick up the snowman soon! Once I'd been introduced to the shower products, I then moved over to find Sam at the gift sets, something I probably wouldn't purchase until closer to Christmas for friends but I wanted to see what was there and the prices, which definitely vary but filled with so many cute things and certainly sticking to themes with both products and box decoration...I was so intrigued by the colours and the cute patterns! It was at this point I gatecrashed Sams chat with Kyle while given chocolate and a drink thanks to the store manager Sophie, but me being me hit lucky with a split cup and covered myself and the floor in my drink, oops!...it was also this point I realised I'd been so distracted by the thought of shopping and new things to try that I'd hardly spoken to any of the girls, so for that I'm truly sorry, I was just mesmerised by everything...and yes that seems like the correct word to use! I did try and mix in a little more but again, of course, I got distracted and headed over to the body care products. 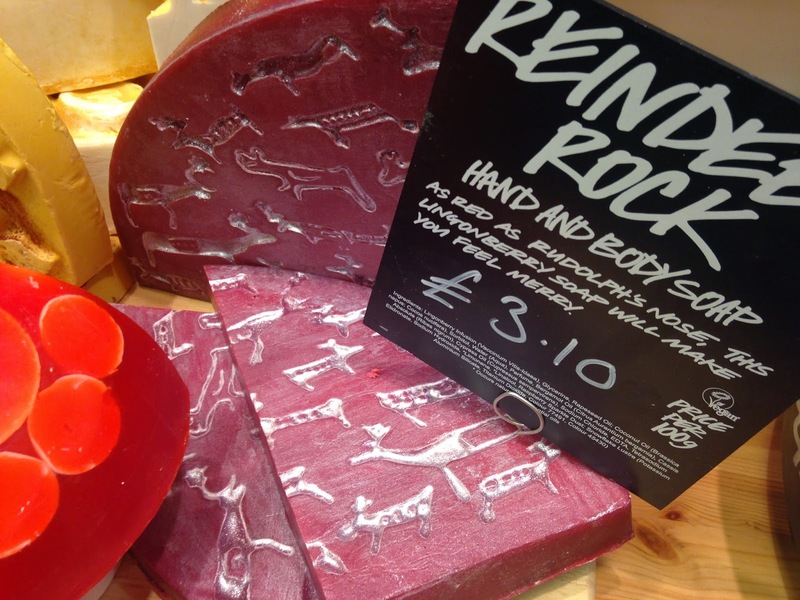 Where I was given a massage by Cassie, she showed me the snow fairy sparkle massage bar with the first snow dust, which left my arms smelling sweet, feeling soft and very shimmery, perfect for a night out...especially christmas parties. I decided against picking these up as I already had my heart set on the snow fairy shower gel which was the same scent. Just like Yasmin, Cassie continued to help me throughout the night and even showed me a few more products which I think I'll be buying in the next few weeks. I was still in love with a knot wrap I'd spotted and couldn't decided whether to wait for my next pay, but after being told that they only have limit stock of Christmas ones and I thought this would be a popular so I grabbed it before everyone else...still not sure what I'll do with it yet but it's just so cute I couldn't resist. By this point I'd realised everyone else was finishing their shops and beginning to leave, which left me in a little panic, but with the last of the girls left I jumped into the queue. While paying I was then given my goody bag, which was so generous of the store and lets me try some of the products I'd been eyeing up yet decided not to purchase this time round. I was then second to last out of the store, hurried to find the train station to get back into Birmingham. I still had a long wait as I'd just missed a train, thankfully I saw Rachel & Hayley who I travelled back into Birmingham with. I then had a long wait until the next morning to look through my bag, as once I was in birmingham it was straight to work for me! I'm going to do a more detailed post about each product, so if you're interested in any product in particular, please let me know! Literally everything I purchased fills me with excitment. I managed to get my hands on these the day before the release, I've left links to everything I brought and you can find the rest of the collection online, here. I'm so grateful I got to see these products and be introduced to the Christmas range and was so happy to see the girls I speak to on twitter. And a big thanks to Becky for the invite & Sam for keeping me company beforehand! I can't wait to try their new Christmas range! 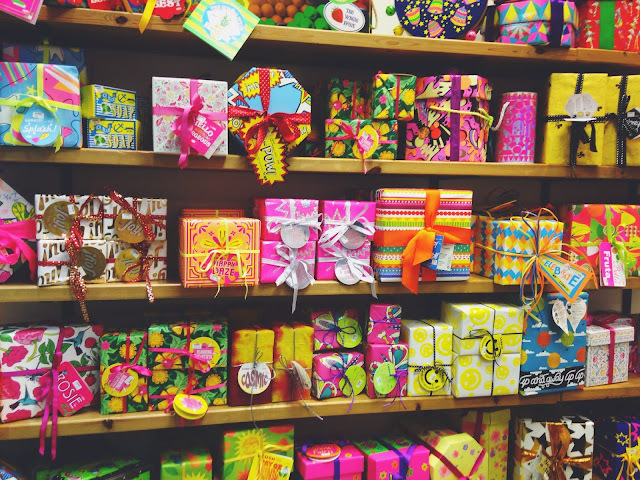 I buy so many stocking fillers from Lush every year it's unreal! Their baked Alaska and reindeer rock soap sound amazing. Looks like it was great event, lovely photos! 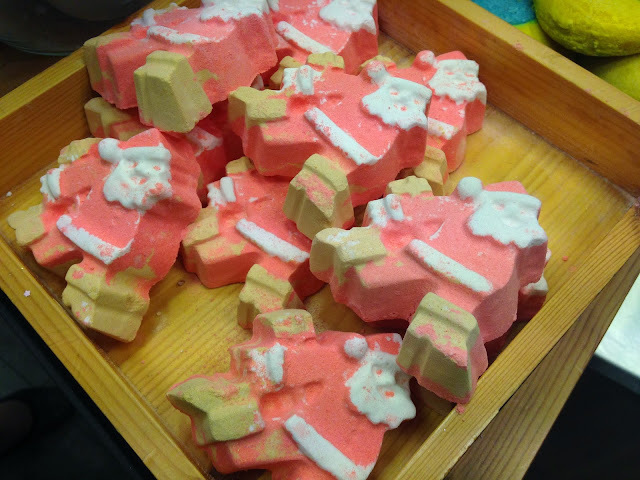 The Lush Christmas Launch Event in Solihull looks well organised and interesting. I can easily see how one could get distracted whilst shopping there. Had I been there (unlikely since I'm from the other side of the pond) I'n no doubt have done a lot of label reading since I'm a strict vegetarian. The store does look like a wonderful place to go Christmas shopping in and your company there looks delightful. Looks like a fab evening. 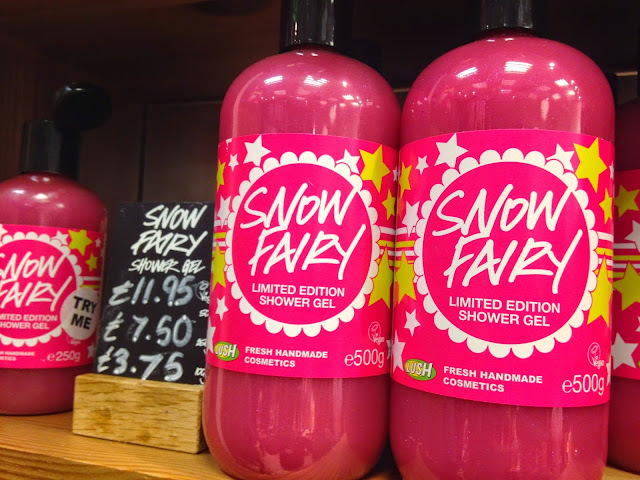 I am determined to try Snow Fairy this year, it's going on my christmas list! What a fantastic post, loved reading it. Can't wait to see your more detailed posts about the products you brought :)! 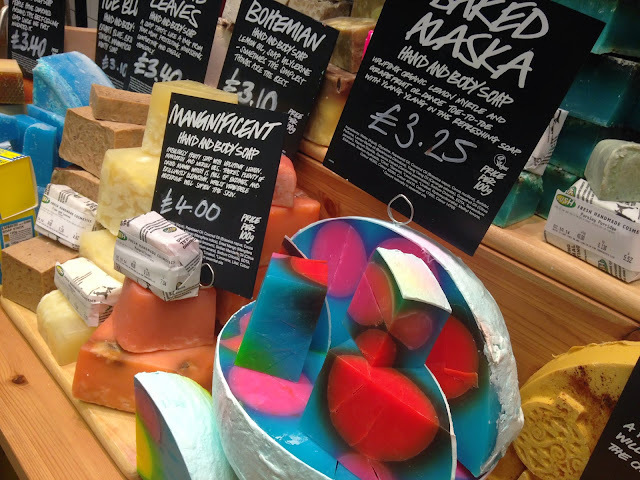 Oooh I love Lush so much - they're fresh face masks are ah-mazing, the blueberry one is my favourite! I can't wait to stock up on all their Christmas goodies! I've just used a few this morning and they're great! I can't wait to use the rest I bought! I'd never really thought about lush as stocking fillers before but this year I think everyone is going to get a little lush treat now! I had so much fun, thank you! Wasn't it! I've still got a mental shopping list of the thing I didn't pick up! I need to pick up a face mask soon, I've been eyeing them all up for ages! I'm a massive Lush fan so this post makes me sad and happy at the same time! 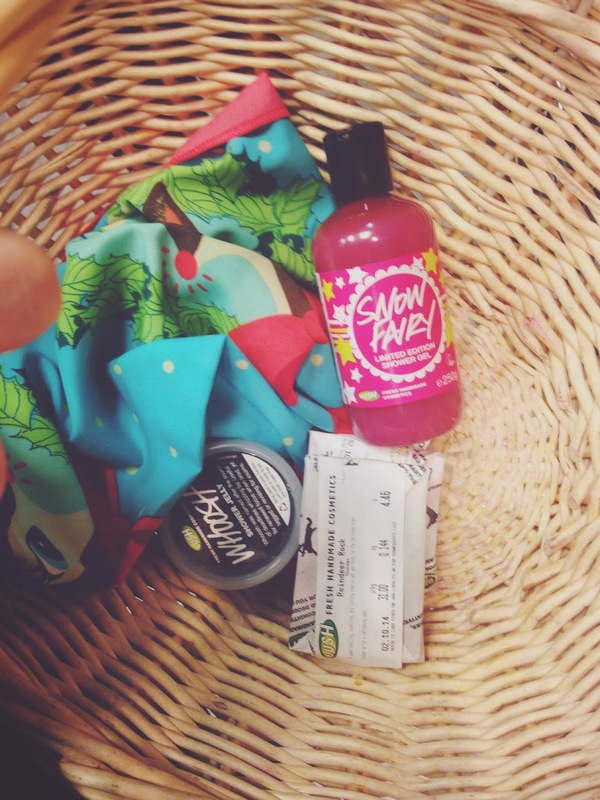 Great post :) Glad you've entered the Lush world! I used these this morning and now I smell amazing! I'm normally so nervous about this type of thing but blogger events get me so excited! I'll keep my fingers crossed that you get to attend one soon!